Our Premier Tasting features our limited production wines from Santa Barbara County and our savory Bridlewood olive oil. 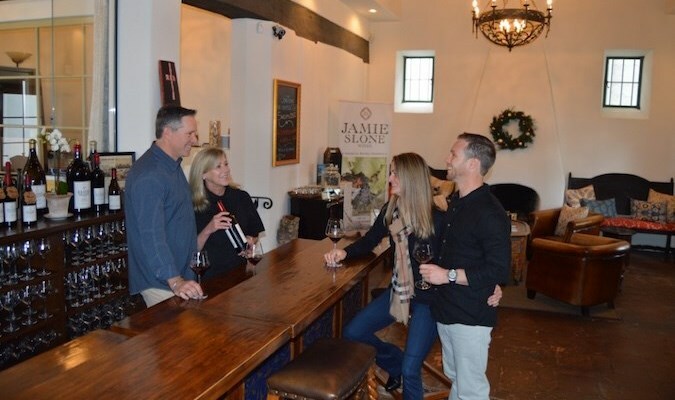 This distinctive tasting experience is led by a knowledgeable tasting room host. Available daily, Monday through Sunday. Groups of 6 or less accepted. Admission is complimentary for one wine club member and up to 3 guests. Approximately 45 Minutes. The Collectors Tasting showcases our elegant limited production wines. 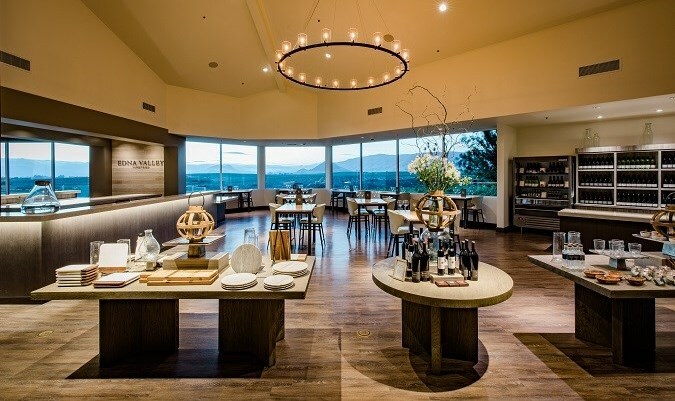 A knowledgeable tasting room host will guide you through this outstanding seated tasting experience in our barrel room. Available Saturday and Sunday. Groups of 6 or less accepted. Cost: $30 per person. Admission is complimentary for one wine club member and up to 3 guests. Approximately 1 Hour. Our Estate Winery Tour and Tasting begins with walking tour of our scenic estate vineyard where guests are introduced to our block specific wines and learn more about our spectacular vineyard. The memorable journey ends in our cellar room with a seated black glass tasting where guests are challenged to figure out what varietal is in the glass without seeing it. Approximately 1.5 Hours. The Cellar Tasting offers you a private seated tasting in our exclusive Cellar Club room. This exceptional experience features four of our limited production, reserve and vintage wines, served with our rich Bridlewood olive oil, Marcona almonds and decadent sea salt dark chocolates to enjoy. Cost: $45 per person. $30 per person for club members. Approximately 1 Hour. Discover the casual elegance of the Central Coast at our stunning 105-acre estate in the heart of Santa Barbara County. 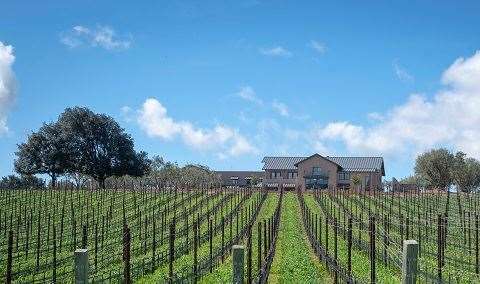 Built in a rustic, Spanish-style reminiscent of California’s historic missions, Bridlewood Estate Winery is a destination all its own. 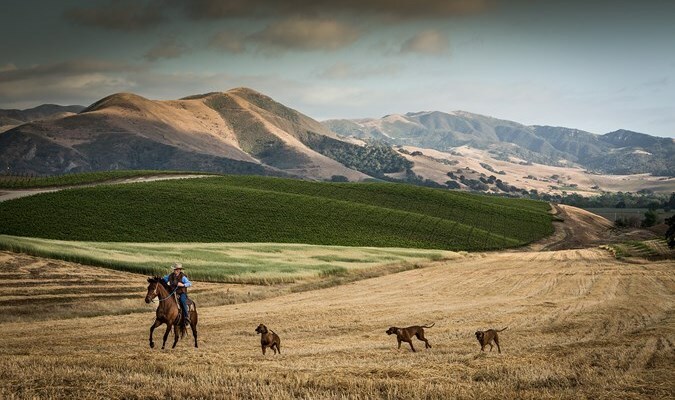 From Chardonnay and Pinot Noir to Cabernet Sauvignon and Syrah, Bridlewood’s range of critically acclaimed wines are handcrafted with care and tell the colorful story of the Central Coast, including the relaxed lifestyle, local cuisine and incredible vineyards. A bottle of Bridlewood wine is a combination of expert grape selection and craftsmanship. 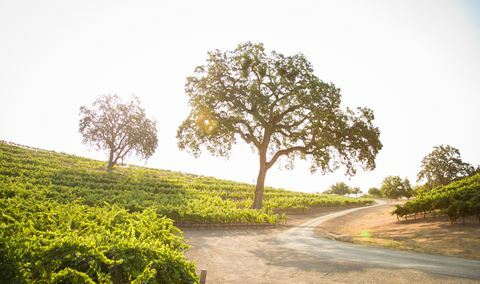 Our winemakers strategically chart a course throughout the premier regions of California’s Central Coast—including Monterey County, Paso Robles, Edna Valley and Santa Barbara County— to find a distinct blend of grapes. In the winery, each lot is fermented separately and then blended together, creating the perfect combination of flavors and textures. 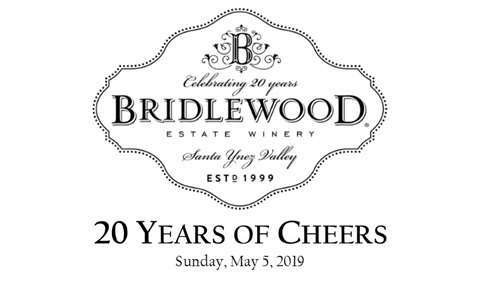 Visit Bridlewood’s stunning 105-acre estate and tasting room in the heart of Santa Barbara County to discover what makes Bridlewood one of the premier estate vineyards in the Santa Ynez Valley. Beautiful winery close to town in Santa Ynez. 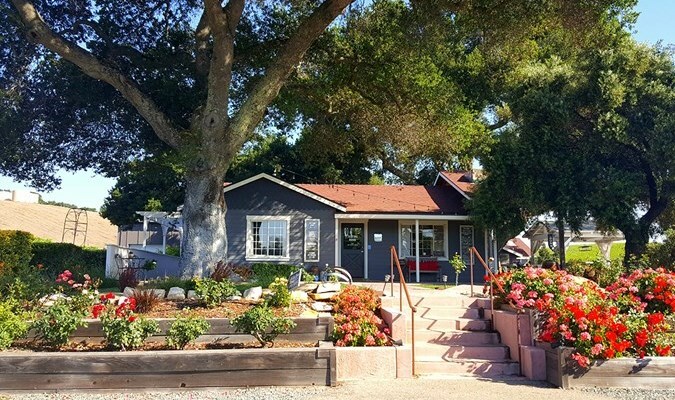 Bridlewood is a great place to visit if you want to experience the beauty of vineyards and the convenience of a tasting room close to town (it is equally scenic and convenient). The staff were very knowledgeable and provided a comprehensive, fun and casual experience. They had great bread and olive oil, too! Great experience. Our guide, Kevin, was wonderful. Would 100% come back! We LOVE this winery! In my opinion, it is the best one I've ever been to! The lake for the members to bring a lunch and eat at is amazing. I wish I could post my pics! The staff are so friendly and accommodating. We love visiting Cannonball (the horse) every visit. A suggestion would be to visit the Frontierland Grocery (upscale) to pick up lunch (as good as Whole Foods). Staff and environment was wonderful as usual. Always welcoming and friendly. Had a great wine tasting experience in the barrel room. Good wine ?? We arrived on a Monday and were greeted by Kevin. He was courteous, friendly and has a great personality. We were very impressed by his knowledge of both the wines and the winery. This visit confirmed in our minds why we are wine club members at Bridlewood! Great customer service and great wines - can’t be beat! Thanks Kevin for another great visit! Gorgeous property, both its architecture and setting. Mike, our sommelier was very patient and knowledgeable. Fantastic tour and tasting at this stunning estate. The blind wine tasting was really fun and educational. That was really awesome and exciting.I was so happy too. We enjoyed our private tasting, especially since the wines were side by side. It really brought out the different characteristics of the grapes and styles of wine. Always a wonderful experience with Bridlewood! Great service , ambiance everything! Our group of 14 arrived on a gloomy, rainy day, but had a great experience overall--I just wish we'd been able to enjoy the outdoor space more than we did. The wine was excellent--you ended up with several new wine club members as a result. And the team was very gracious and welcoming. Overall, a big thumbs up! Been members almost 2 years. We love Sherrie and Janet. They always greet us with open arms. Would love if a chavigion was introduced and a merlot. Love the winery! Love the wines! I would also recommend it to friends and family but my boss is most likely to go. We were greeted warmly and given a great tasting, awesome wines, some simple pairings and all free as we are members of their wine club. Left with a few bottles. Melissa and Cheryl warmly greeted us....on Valentine's Day at noon. Only challenge was the gate opening which required that I roll down the window in the pouring rain... it was challenging to hear the intercom...as my left arm got suddenly drenched. Loved the inside the barn heaters....warmed both our bodies and our hearts! Was attentively taken care of and the VD sweets were a hit! Very pleased with our experience. We were moved into members lounge and participated in the side by side tasting they offered that day. We have enjoyed our visits to Bridlewood for several years, and joined their Wine Club on our first visit. The staff are all wonderful: very friendly and knowledgeable, and able to answer just about every question. The Club Members room was almost full when we arrived, but the staff still were able to warmly greet us and get us seated quickly. Wish I could remember our pourer's name: he was great! Love Bridlewood beautiful place. Staff are very friendly and professional. Most of all the wine is amazing. Thank you. Every experience I have had at Bridlewood has been very good. The employees go out of their way to make sure we enjoy the experience. Melissa was super friendly and had amazing service. I like the wine comparison tasting it was something different. I also like the olive oil tasting. I will probably buy some of that next time I am up. My husband and I did the vineyard tour. We had such a great time - loved seeing the grounds and learning more about how to distinguish different varieties of wines. Kevin was our guide and was very knowledgeable and warm. We especially loved the blind taste test - it was lots of fun and something we hadn’t done before! such a beautiful location! only wish we could go down to the lake area, but it is reserved for wine club members only. AMAZING!!!!!! From the wine to the astaff (Melissa) to the grounds. The wine was the best we’ve had in Athens entire area from Buellton to Los Olivos. We are now members and can’t wait to return. Members room is loud. I LOVE that the tasting is available via reservation only. Just wish the main room workers were as friendly as the member room hosts. The grounds are beautiful but the wines don’t match the ambiance. Paid $20 for a tasting and felt that was way too much. I thought we were to get a tour when I registered but it didn’t happen. There are so many great properties in the area I’ll likely skip this one the next time. We had reservations for a group of 10 of us. We were greeted upon our arrival and our pourer was very knowledgeable and friendly. Not only were the wines we tasted great, but the winery and the grounds are beautiful! We had fun walking around after our tasting. I would recommend visiting! The grounds are beautiful and the wines that were included in our tasting were absolutely delightful. From top to bottom in the lineup, we all remarked how consistently good they were. They were smooth and flavorful, and each one better than the one before. We loved the property, and our host, Sherrie was very personable and informative. After our tasting and tour, we became Wine Club Members!! Great experience - not members and wished we could have had access to the lake as my wife doesn't drink (it's an allergic reaction). we went here because she loves vineyards that have lakes, horses, beautiful settings, etc. it's a great place for both of us as I love the surroundings as well. The wine exceeded my expectations. didn't join the club as I have too many memberships. Beautiful grounds. Welcoming and informational host. My husband LOVED spinning records in the Club member room. Brought our lunch, tasted wines (immediately joined wine club) and enjoyed our friends! Plan to go. Don’t plan to rush through. Great experience. It was a beautiful estate and the wine is very good. I joined the wine club. Bridlewood is always a comfortable place to stop and purchase good wines. It couldn't have been better. After an entertaining sampling, we bought a bottle to go with the Thanksgiving leftovers we brought and basked in the sun picnicking by the lake. We followed that with a stroll around the coral and a second bottle under the porticos watching the sunset. Can't beat that now, can ya'?. Bridlewood was the location I chose to propose to my girlfriend of 7 years, and WOW, what a magical afternoon they helped me create. Just driving up to the property, you know this place means business. They were extremely hospitable, providing everything I needed to make something over the top special for my fiance. They even helped me track down a local photographer to take pics! We will be back!